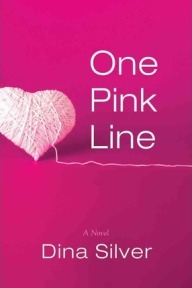 One Pink Line is not an action packed novel. The shocks and upsets, the highs and lows of Sydney’s life are the action, and there is something very real about it all. Sydney could be any young girl who makes a mistake and has to make choices. She is easy to connect with and empathise with, and she is a very real and down to earth character. Everything about Sydney’s story seems realistic. She’s not the kind of unreal perfect woman you might find in chick lit, but just a regular girl, which is why she is so easy to connect with. She likes greasy food, she has issues with her mother, she doesn’t like her boss, she struggles to make ends meet. Sydney didn’t plan to have a baby, but that’s what happens; she determines to make the best of things, is utterly devoted to her daughter and all her hardships are worth it for Grace. As for Grace, her story is of less import than Sydney’s story. Grace’s story serves to tidy things up and bring a conclusion to the twenty odd years that the novel spans in total. Her life is turned upside down by an unexpected revelation, and while that makes her an interesting character, it is not as gripping as Sydney’s story. There is however a detail in Grace’s story which is kept carefully hidden so as to not reveal how things wind up for Sydney, so Grace’s sections act as a driving force for Sydney’s story. Dina Silver’s writing style isn’t really something I considered beyond the first chapter or two of One Pink Line. Those first couple of chapters I was thinking that I might not like the novel, as Silver seemed like she was going to mundanely state every action of Sydney’s, such as the details of her trip to Walmart and her preparations for her friends high school graduation party. After not very long however, this just came across as part of Sydney’s down-to-earth character, and no longer bothered me. I was pleasantly surprised by how much I enjoyed One Pink Line. It is a very real story, with characters you can understand and relate to, and is very moving. I’ll look out for more books by Dina Silver. No Comments on "One Pink Line"